Numerous sports and active holiday lovers will find enough reasons to come to Istria even in the winter months, but the first days of spring brings the fifth edition of the ultra trail race 100 miles of Istria. 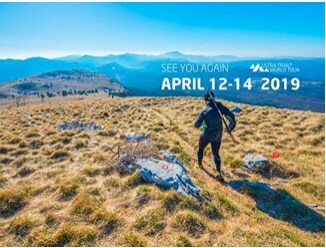 From 2016, 100 Miles of Istria is a part of the Ultra-Trail World Tour (UTWT), a collection of the greatest ultra-trail races around the globe. The 100 miles course is the hardest and the most beautiful course, it stretches from the eastern part of Istria, over its highest mountain down to the mainland, and ends on the western part of the peninsula in the city of Umag. Along the route you will experience every possible aspect of trail running - really technical terrain, a little bit of coastering, old medieval towns, deep forests, city centres, old train route, muddy valleys, all spiced up with breath-taking panoramas. The course starts in the 3000 years old town Labin, climbs the Učka mountain and descends in Buzet. The trail leads you afterwards to the smallest town in the world, the town of Hum, then to the medieval pearl Motovun and back to the finish in Umag. The second largest course offers you “the climb”, right in the beginning, from the sea level directly to the top of the Učka mountain. Reaching the foot of the mountain peak, the 108 km trail merges with the 100 miles trail until Buzet. From Buzet, the trail leads you towards Oprtalj. Before you reach Umag you will have to climb mountains, cross the stream but you’ll also see the ruins of the Pietrapelosa castle. The third race, 69 kilometres long trail is an excellent start for participants as well as the fourth race which is quite a novelty and is dedicated to beginners in trail running. The finish of all the races and the centre of events will be in Umag where Ledo 1 mile children race will be held. Welcome to the 5th edition of the ultra trail race ''100 miles of Istria''!